Gluten free wraps have been used in many cultures since the beginning of civilization. They are usually made either from grains or vegetables, but you can get creative and wrap things in slices of meat or cheese, at least for small bites. Wrap options are really good to know about, because they are one of the easiest ways to make a quick meal or snack, especially the first two on the list. 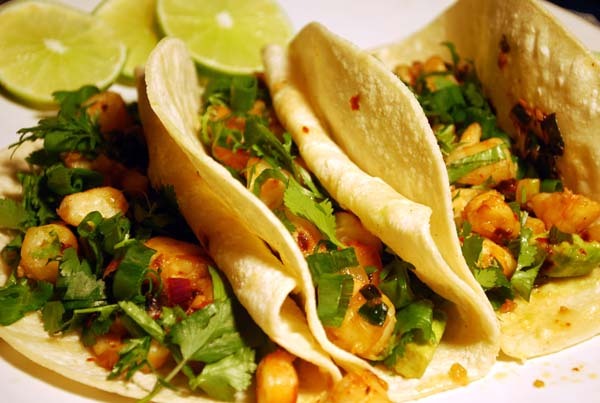 Corn Tortillas: these are probably the most common gluten free wraps to use, at least in North America. They originated in Mexico, but are now used and available in many places, including the blue corn tortillas of New Mexico. 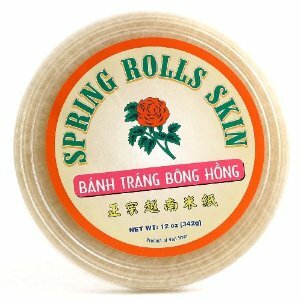 Rice Paper Wrappers: Available dried in Asian markets, rice papers are another variety of wraps without gluten. They are very simple to use if you don’t over-soak them. In fact, instead of soaking them, fill a bowl with water and lower half the wrapper into the water, then rotate it until in starts to become pliable. Don’t wait until you think it’s soft enough to eat, because it will continue to soak up the water that is on the surface, becoming so soft it either falls apart in your hands or it waits until you get it stuffed. Still edible, but you’ll have to eat it with a fork. Tip: If you use 2 rice wrappers at once, one on top of the other, and rotate them in the water until just starting to get soft, you are much more likely to have them stay in one piece when you fill them. It may take a couple of tries to get it right, but it can be fun and kids can make their own. Dosai (India–usually made from rice and urad dal) are also favorites of mine but require some preparation. The batter for dosai is mixed and then allowed to ferment for a while before cooking them like a pancake or very thin crêpe. When the batter is poured into the pan small bubbles form, and give a lacy effect to the wrap. Injera (Ethiopia–made from teff) is made nearly same way as dosas above, but may be fermented longer, and is only cooked on one side. Some recipes call for yeast to speed it up. Although traditionally they are served so people tear off a piece and wrap some food in it, you can make smaller injera and stuff them. Buckwheat Crêpes, Galettes De Bretagne (Brittany, France) make a great meal when stuffed with a savory filling like shrimp. They’re great for breakfast, too, wrapped around berries and crème fraîche. Yumm! for vegetables that can be used as wraps. Cabbage leaves: stuffed cabbage is common to many traditions, and can be a good hearty meal. Here are some great recipes. Collard greens: I love steamed collard greens, and stuffing them with a mixture of rice and vegies, and sometimes meat, is a hearty feel good meal for me. They can be used for any stuffed cabbage recipe, but will have a heartier flavor. Lettuce: Asians use lettuce for wraps, and so does a popular hamburger chain in California called In and Out Burger. Instead of ordering your burger without the bun, if you ask for “protein style”, they will wrap it in a huge lettuce leaf. It’s not on the menu, though, so you have to know about it. And I don’t think they claim that it’s gluten free. Grape leaves: Middle Easterners are fond of stuffed preserved grape leaves called dolmas, or dolmades. They are one of those gluten free wraps that have been around since ancient times. And what’s great is the stuffing is free of gluten containing ingredients, too. The pickled leaves are slightly sour, and rolled around a mixture of things like rice and pine nuts. These are available in jars, but they are so popular you can often find them in your local deli or grocery store. They’re great picnic food.